GGN and Graham Baba are working on the revitalization that could bring more redevelopment. A restaurant and brewery tasting room have opened, and a hotel is planned. 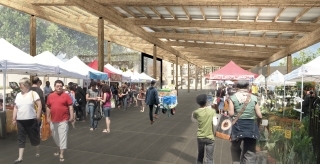 In the market hall, there will be stalls for vendors selling local products.